It is very rare that I run across a book that is just perfect. Usually it is in the back of my mind that if such and such is changed, it would be a tighter story. Not so with THE SIX TRAIN TO WISCONSIN. Oliver has a way of digging in his heels and overcoming the impossible. That is what he did when he kidnapped Kai and brought her to his family home in Wisconsin. The hope is that Kai would be able to heal with fewer minds around. When Kai was first brought to Butternut, she was pissed. She didn't care that all the minds in Manhattan were killing her. All she thought about was the kids that she wasn't there to help. Now she is starting to discover some secrets that her husband has kept from her and she wants to help him and their marriage with her telepathy. This book will run the readers through the range of emotions from love to hatred to fear to happiness. Incredible writing and characters will keep you glued to the page. 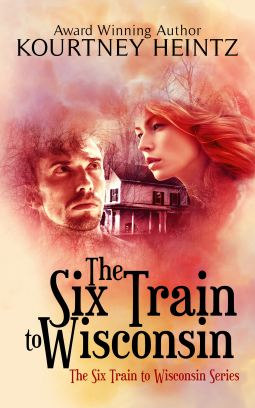 I highly recommend THE SIX TRAIN TO WISCONSIN to any of my readers who enjoy contemporary fiction. This book really is a must read.